August 8, 2011 – Journey to my heart…. never never never give up….. Such an interesting distinction. Makes me really think about when I bring defeated to its permanent position…. I am curious this week to pay attention to when I feel defeated. I am curious if when this feeling hits, if I consider my options? 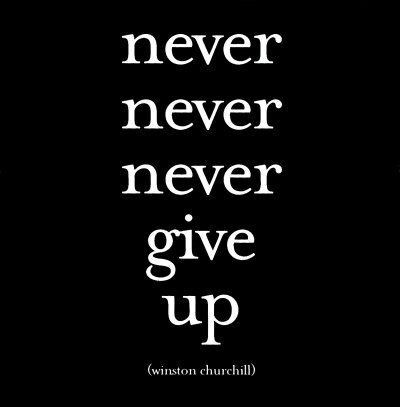 I like the idea that defeated is temporary….I am committed to living by the wise words of Winston Churchill. Author trishborgdorffPosted on August 8, 2011 Categories Uncategorized1 Comment on never never never give up…..